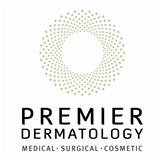 Premier Dermatology (Naperville) - Book Appointment Online! Some of our dermatologists specialize in skin cancer treatment, some focus on cosmetic procedures. One used to be a nurse. Another is also a board certified pediatrician while another is boarded in internal medicine. No doubt, the eight dermatologists of Permier Dermatology represent a wide range of backgrounds and interests. But all of them have been tested, proven, verified and certified by the American Board of Dermatology. Add to that collection of talent a highly qualified physician’s assistant as well as outstanding nurses and support staff, and the result is a level of care that’s simply unmatched. Please be advised: If you've been to our practice before, you can book as an "existing patient" under any provider! Front desk staff and all others I dealt with were very friendly. Seemed like everyone enjoyed working there. Dr very thorough and forthcoming. Would definitely go back if needed. Prompt and professional! What else could you ask for!